Our indoor/outdoor kitchen is fully equipped with lots of work surface and 2 double sinks to prepare meals and not just rely on the Gas BBQ food. 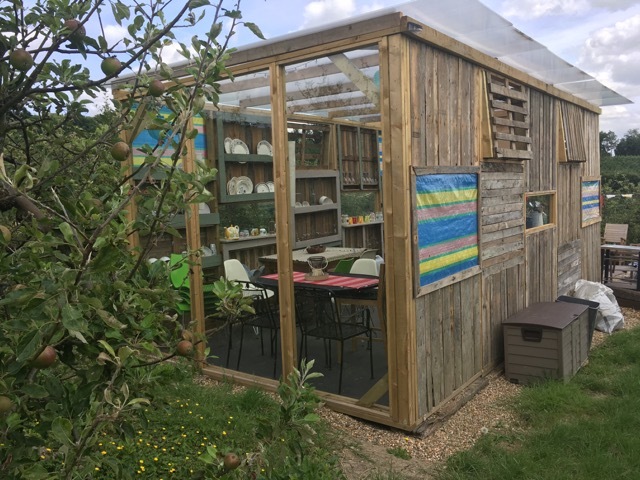 All inclusive facilities are there to hand and the tables and chairs can be moved around to take full advantage of the great outdoors and space under cover. A roof means that you are protected whatever the weather and the Snug Lounge next door extends the social space. ​Use the full size fridge, small freezer to store your weekends food plus use the microwave in the Games Room and your mission is complete! You don't have to be in the kitchen to enjoy the space ! 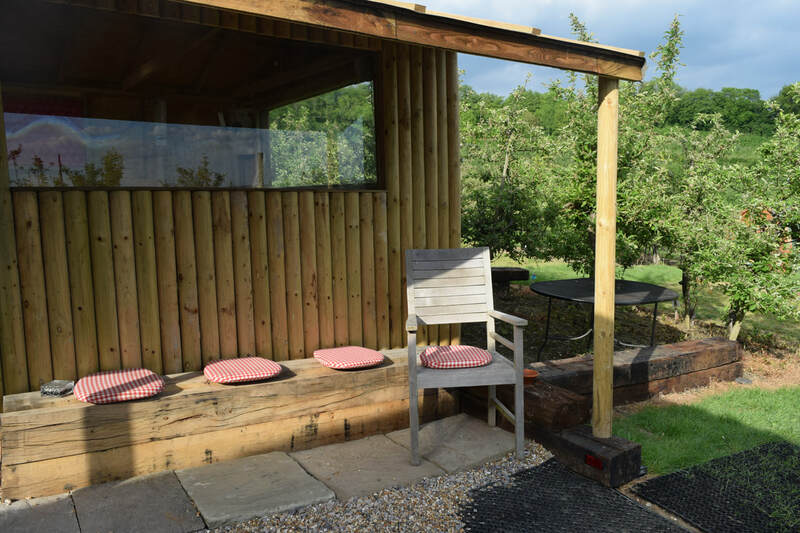 Share bread and make time .. our kitchen is well equipped and gives you the opportunity to prepare hot and cold meals in the great outdoors along with the Snug indoor retreat we offer All Seasons Protection - after all we are Glamping ! " The list is small but we have to tell you! The Snug Lounge- a place to unwind right next to the kitchen and protected from all weathers ! The SNUG Lounge offers comfy sofas and another place to gather and stay connected to the kitchen. 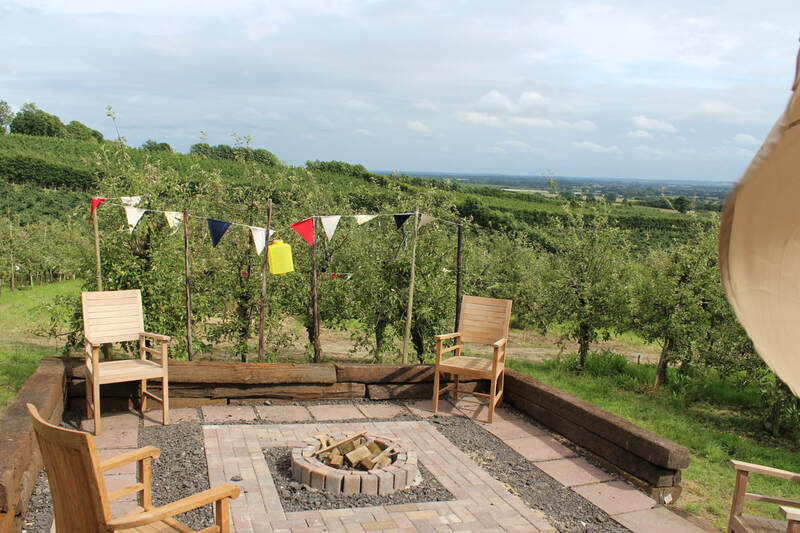 Share the patio and fire-pit areas along with the fantastic extended views across the valley and feel your body relax! 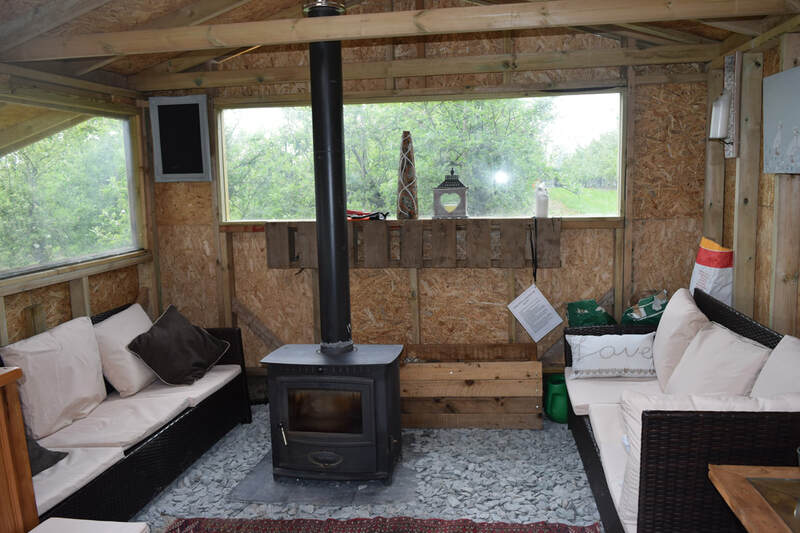 This is a perfect all-weather social hub for everyone to share, with log burner and free wood supplied and included for your stay. 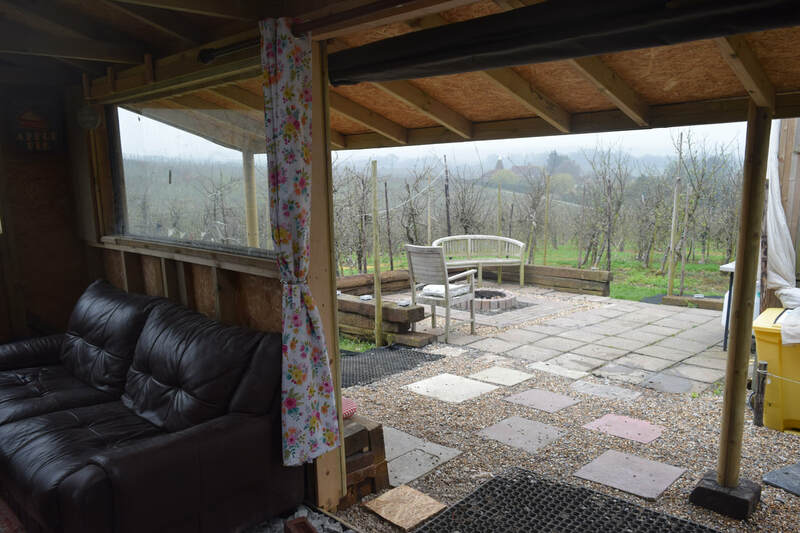 We loved the amazing views from the terrace and dipped in and out of the Snug, which was just perfect while we sat and chatted with a nice glass of Rose around the fire-pit! 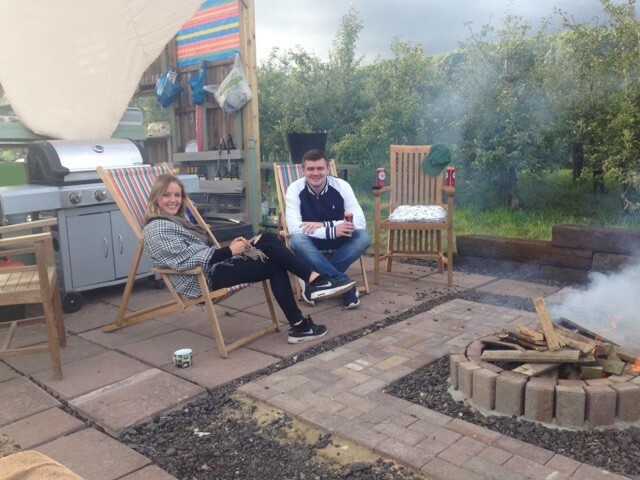 Whether booking as a family, or friends re-united, the social areas at All Seasons Glamping are superb and offer a great place for unwinding whilst creating your own social atmosphere. 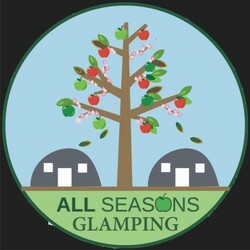 Though we do not have facilities for loud music we are happy to extend our welcome to considerate Glampers who want to get together and chat till the small hours! Whether booking for yourself or for a special event we can accommodate you with plenty of space for your social enjoyment.